Well, we didn’t see the Sony a7sII coming. Just kidding, yes we did, from a long way off in fact. That’s OK though because it turns out it’s everything we wanted. As a recent Sony convert and a photographer that dabbles in the video world, this was an easy camera for me to get excited about. On paper, it just seemed to check all the boxes for me. Full frame? Check. 4k? Check. 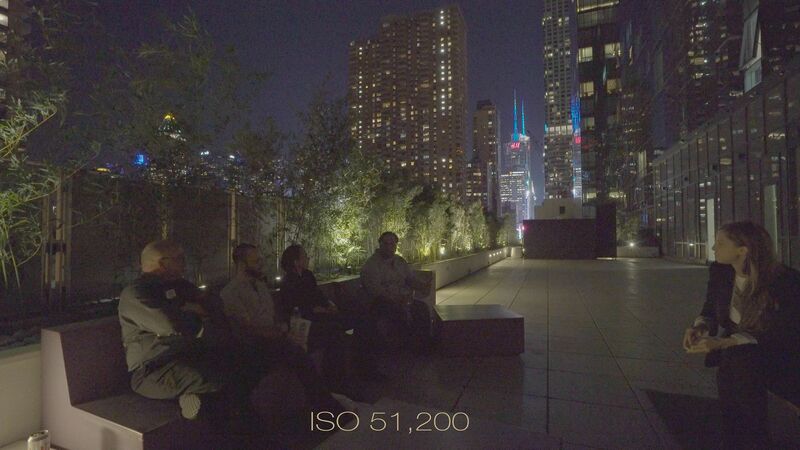 Slow-mo, dynamic range, and low-light? Check, check, check. There’s honestly not much to say here. It works greats and looks greats. Like many people, I’m still not delivering final projects in 4k yet, but I love the flexibility and sharpness that shooting in 4k offers. The first generation Sony A7s can shoot in 4k resolution, but it requires a compatible external monitor/recorder like the Atomos Shogun. While the footage looks great and the monitor is beautiful, having an additional device, plus batteries, cables, and chargers can sometimes force you to choose between shooting 4k and keeping your rig light and nimble. Now you can have the best of both worlds! This is the third Sony camera to be released with their excellent 5-axis IS built into the body. As anybody who works at LensRentals can tell you, Image Stabilization or Vibration Reduction systems are one of the higher areas of failure in lens designs. Cramming it into a compact, full frame camera body is both risky and impressive. So far, to date, we haven’t had too many problems with any of the Sony A7 series and I really hope that streak continues because the 5-axis IS is incredible when shooting stills! Videographers have always had a special relationship with IS and now having that assistance on any mountable lens setup can only produce good things. The entire video above was shot handle-held and I think it looks pretty good as long as I’m standing still. The IS did a great job with basic panning and tilting moves and even handled the vibrations from a taxi ride really well. Will it replace your Movi? No, no it won’t. I briefly tried to follow Sarah walking down the sidewalk and quickly realized that no amount of heel-toe stepping was going to make that footage usable. Still, I can definitely imagine a few scenarios where even a small gimbal or steady cam would be too big and the Sony’s internal 5 axis Image Stabilization would save the day. Again, nothing special to report here. While other companies are struggling to get 1080 at 60P into some of their cameras (I’m looking at you, Canon), Sony has been playing with high frame rates for awhile. The Sony A7sII gives us full 1080 at 120fps and it’s a lot of fun to use, especially if you come across a creepy man-sized dancing baby. The additional benefit of being able to shoot 120fps while using the same XAVC S format @100Mbps that you can use to shoot 4k means that it was a pleasure to grade together in post production. Sometimes it’s the little things, you know? The Sony a7SII claims to be marginally better than its predecessor, the original A7s when it comes to low light, high ISO performance. I really can’t comment on that because New York City is really not the best place to test these things. There’s light everywhere and even at ISO 1600, I wasn’t able to shoot any lens that I had wide open. To even look at some of these higher ISOs that the camera is capable of, we had to find a dark enough patio area, put on 4 stops of ND filters and then start stopping down like crazy. To my non-expert eyes, this camera performs amazingly well and I would be comfortable using any footage up to ISO 51,200 without hesitation. Maybe even 102,400. Above that is not really usable in my opinion but it’s certainly cool that you can get there. For me, this is one of the most exciting parts; shooting using Sony’s new S-log 3 gamma curve. It is literally the first setting I changed on this camera and I can’t really think of a reason I would change it to anything else. 14 stops of dynamic range and the footage is so flat and boring looking that it’s actually exciting to think about how easy it will grade. The above video has a slight boost in contrast, a slight curve in saturation levels and a tiny amount of sharpening. That’s it. Grading took all of 1.5 minutes to get a look we were happy with. The one thing to remember if you’re going to be shooting this, especially in S-log 2 or 3, is to OVEREXPOSE LIKE CRAZY! Seriously, 1.5-2 stops over is where I’m starting next time. For a brilliant read on gamma curves and exposure, check out all the work and research that Alister Chapman has done on the subject. Although some people will have a problem with it’s small ergonomics, it’s hard to argue with the vast feature set packed into this little guy. This is just one man’s opinion, but since this camera wraps up the “version II” line of the Sony A7 series, I don’t think we’re going to be seeing major upgrades to these features anytime soon. I look forward to a long time of highly recommending this camera to people. OK but how does it compare to shooting with a real video camera? Could you see yourself taking it to Alaska or the scary part of Atlanta and spending two weeks shooting a documentary with it? Could you make up your day in and day out video camera?